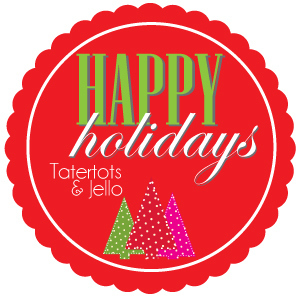 I’m Jennifer from Vintage Gwen and I’m so happy to be a part of Jen’s fun Holiday series! At Vintage Gwen I share a little of this and a little of that, like simple crafts and yummy recipes. And a yummy recipe for your New Year’s festivities is what I’m sharing today. 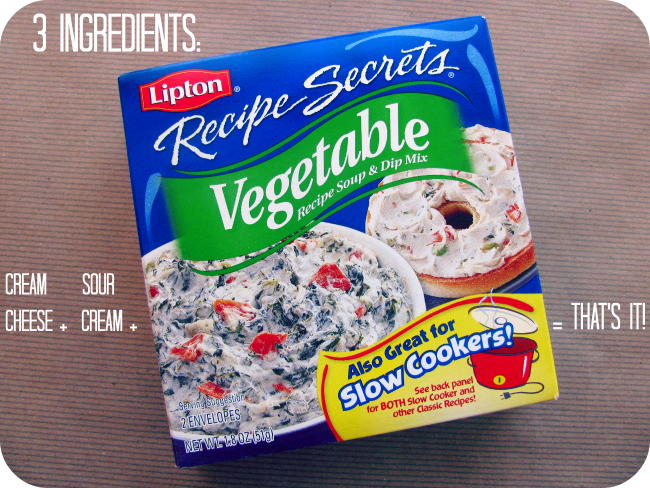 Back in the summer I was needing something a little different to take to our monthly ladies meeting at church other than a dessert and found Lipton’s Vegetable dip and soup mix at my local grocery store. Well I just glanced at what it took to make the dip and when I got home I hadn’t gotten enough ingredients. So I improvised and made my own version! And then upon further inspection of the box I just really combined 2 of the recipe suggestions! Ha! But it was a hit and I had people wanting the recipe! I made it again for my bunco babes and they loved it too! 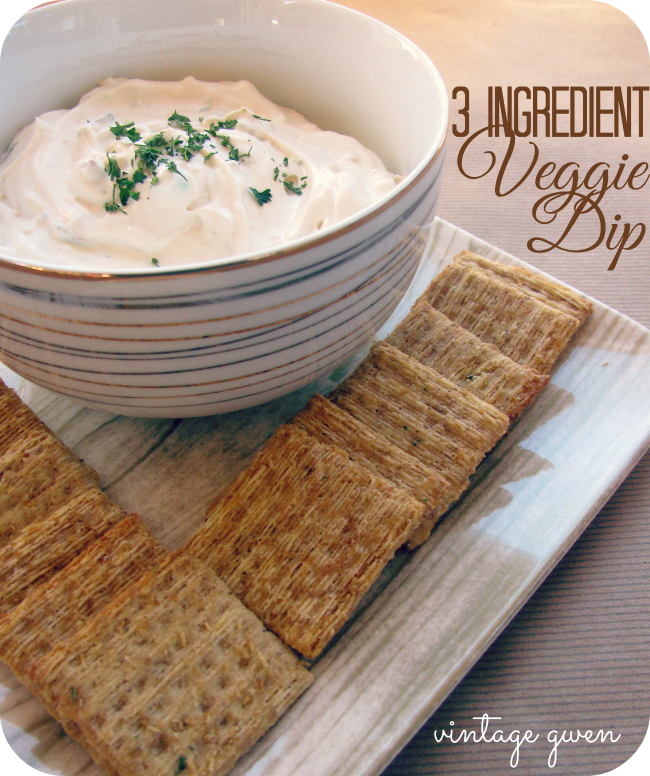 Let chill for 2 hours and serve with your favorite crackers and/or veggies. Tips: *This is pretty thick after chilling. You can add 2 tablespoons of milk to thin. simple hor d’oevere! Yes I did try this combination and I wanted to eat them all! Hope this recipe makes your New’s Year’s party prep a little easier! Thanks so much for having me Jen! 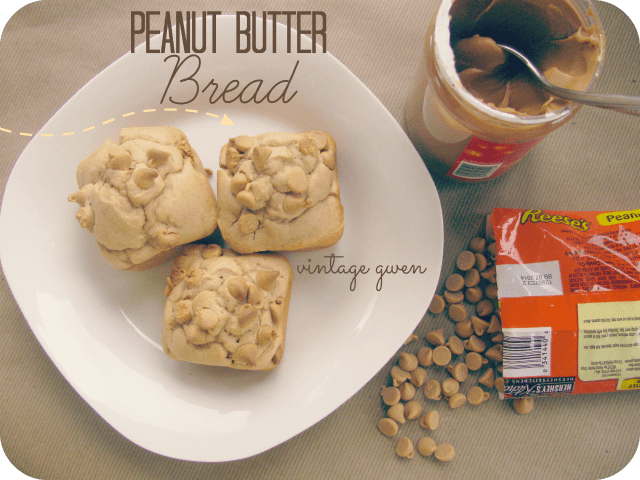 Her recipe for Peanut Butter Bread looks so yummy! It’s one I definitely want to try! Her Craft Room is just darling! There are so many pretty touches that she has added in almost every corner! 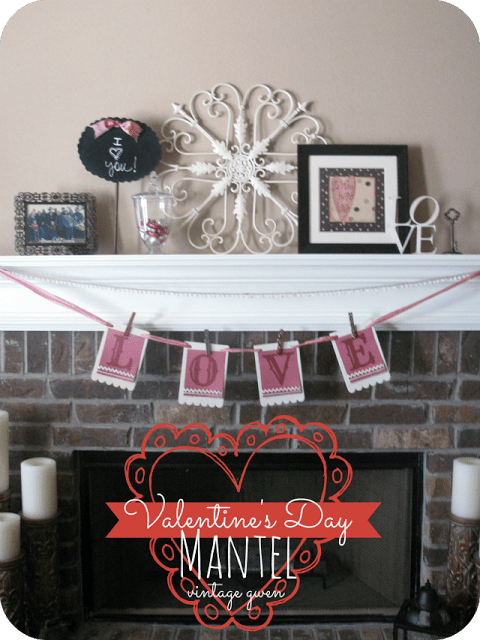 And, her Valentine’s Day Mantel from last year is so sweet and has so many cute ideas!! *This is pretty thick after chilling. You can add 2 tablespoons of milk to thin. [br]*My favorite cracker to serve with this is one that is seasoned with rosemary, the rosemary just adds another layer of flavor to the dip! (I used Rosemary and Olive Oil Triscuts today. 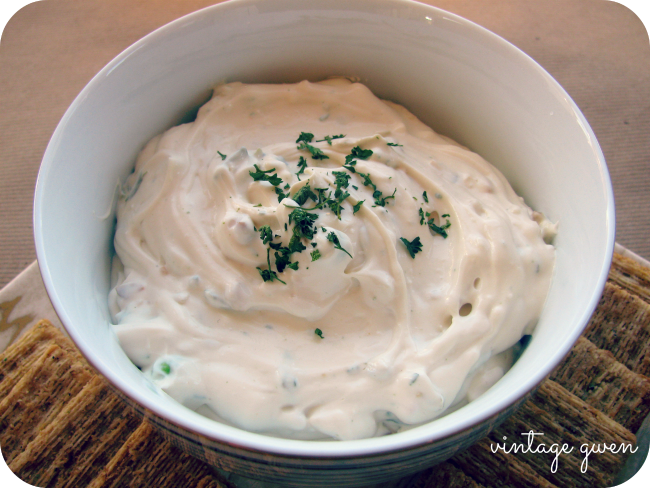 )[br]*Instead of serving this as a dip, spread onto crackers, add a slice of cucumber and you have a[br]simple hor d’oevere! Yes I did try this combination and I wanted to eat them all! Wow that looks really good! I think I will have to try that one out maybe even on New Years Eve when my friend comes to visit. I wouldn’t have thought to add both sour cream and cream cheese. Yumm!!! Thanks again Jen for having me!! Honored to be here! !